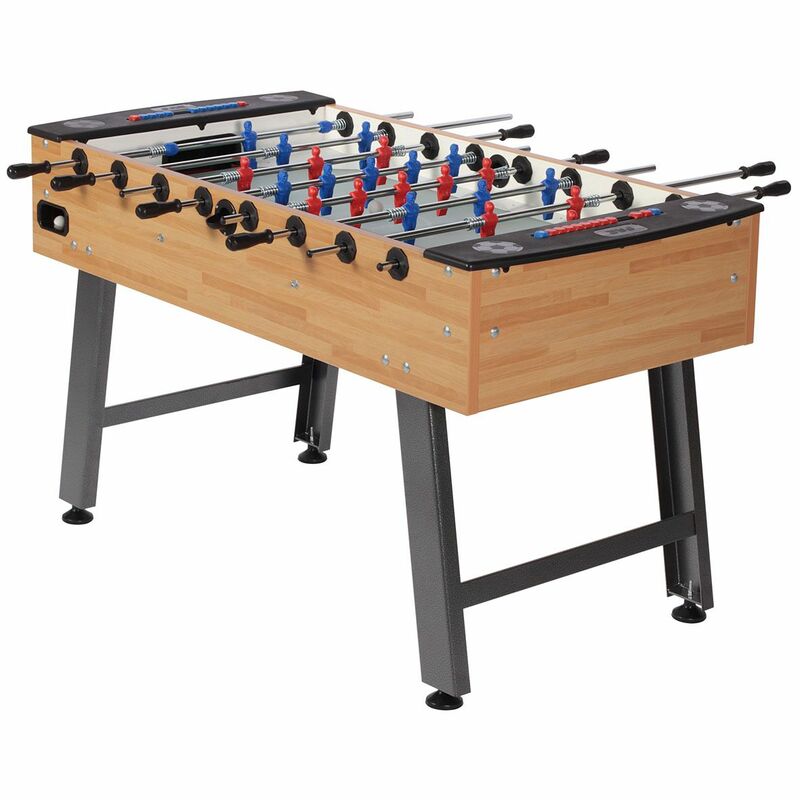 The FAS Club is a durable, free-play full-size professional table ready for home and commercial use. The table has easily detachable legs with adjustable height feet and solid steel through poles that are chrome plated and prepared for heavy duty. To ensure a better grip the table has a sandblasted playing surface. The extremely durable red and blue players and scorers will serve for endless playing hours. To ensure a supreme grip and ball control they have a unique V-feet design. for submitting product information about FAS Club Football Table We aim to answer all questions within 2-3 days. for submitting product information about FAS Club Football Table. We aim to answer all questions within 2-3 days. If you provided your name and email address, we will email you as soon as the answer is published. for submitting product review about FAS Club Football Table.